Everyone has the potential to improve in some way. Working with a professional coach to identify and work on those opportunities is an effective path to growth. 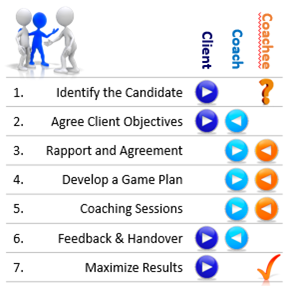 Accord Consulting use qualified coaches and follow a professional process for coaching engagements. We seek clarity with our client regarding desired outcomes prior to commencing a coaching engagement and like to ensure a good match between coach and coachee. With an agreed mandate, clear goals, professional tools (such as EQ-i) and regular, well-structured, coaching sessions, we see significant growth and exciting outcomes being achieved.